Installing my drive shaft and I've lost the bolts. I found several correct length but different bolts in my 25+ year old box of hardware but I'm not sure if there is a grade issue between them. I think the driveshaft bolts are shouldered (going from bad memory). I can check as the engine (and driveshaft) is out of my car, and I can take a pic of the bolts and will post up later tonight….. Thanks for the reply James, all three of these types have shoulders, and they are the same length, correct looking length. It comes down to grade. Not sure if one of these is cheese, like grade 0, 2, or 5 equivalent when I'd think the correct bolts for here must be more like gr 8 or 12. I have 4 lil bolts in a bag that says "510 DS bolts". Walking to shop now... pics coming in hot! Here's what I used. Not sure if it's OEM or not but it came out of my car. Shouldn't go wrong with a properly torqued class 10.9 or 12.9 bolt. It's 25mm below the head, fully threaded (no shoulder). The factory bolts are definaterly shouldered bolts, but I can not give you an exact example or photo. I do know I replaced mine with new the last time I removed the transmission and replaced the clutch - and they were still available from Nissan (2009 I think). I can tell you for sure that they have 12mm hex heads. Jordan, Byron, thanks both of you for the feedback. 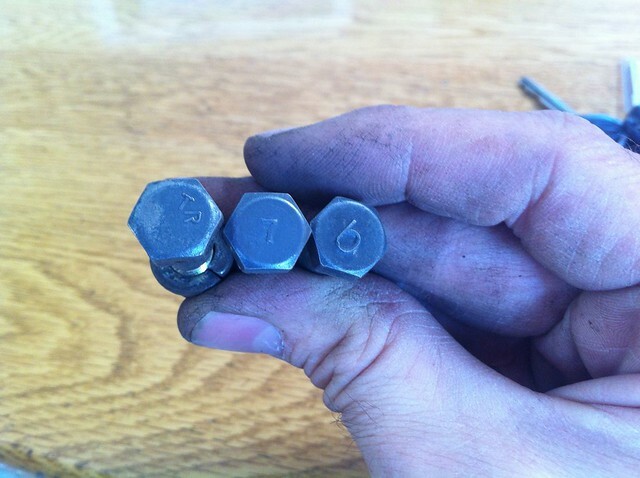 I scrounged up four of the "TR" bolts (the ones in my bucket did have shoulders). I put a mic on them and got .314 versus my other two styles in my picture which were ~.312 which makes me think Datsun used close tolerance, less likelihood of working loose perhaps. They did press in a bit tight. I also think I found my original bolts, they were actually 5/16 NF gr8 without shoulders, hence why I couldn't find them earlier. I might be making a big deal out of nothing but I'd rather not have this equipment come apart at 7000 in fifth, if ya know what I mean. Ps driveshaft is in, still needs half shafts, intercooler tanks, and a bit of exhaust, then install oil, anti, brake juice and it'll be ready to fire. Heading out for a week of vacation first though! My patience is wearing thin here, its been about a year to this point. 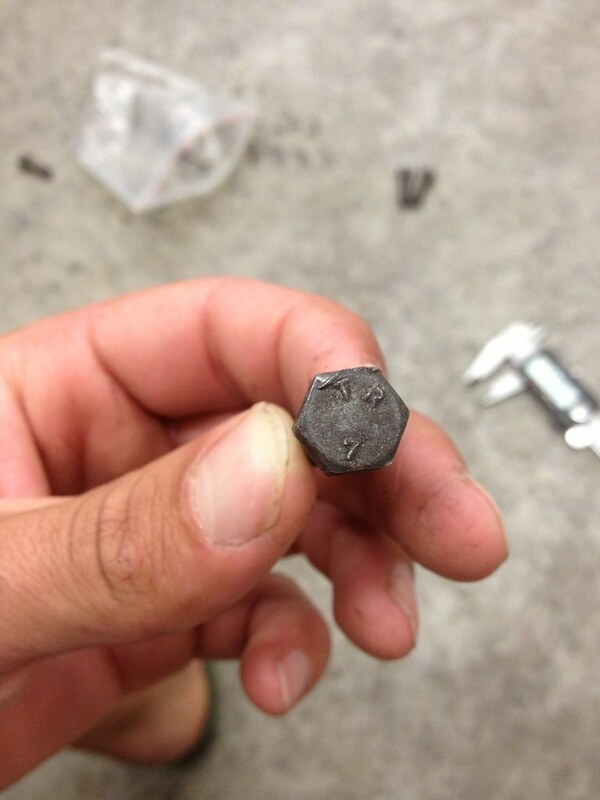 Any Subaru we used to rob the diffs out of will use the same/correct bolts. Always has been reported that full-threaded bolts ended up working loose over time. What Julian said. The DS bolts do have a shoulder and do fit snug as I recently replaced mine with factory pieces when I did my clutch. I picked up the DS bolts about 6 years ago at Puenty Hills Nissan in La Puenty, CA while visiting friends and family. Sorry I didn't get part numbers just four bolts, nuts and washers in a plastic bag.